Albertville, AL, 05/26/2017 – When it comes to replacing Lampshades – You Dream it, We Build it , no one beats our quality or craftsmanship. Jack of All Shades, LLC. caters to the homeowners needs. The best part is that with each purchase, we send matching donations to St. Jude’s Children’s Hospital. Jack of All Shades is an American Company based in Albertville, AL. We began making lampshades over 28 years ago and MANY of our employees have been here since we opened. 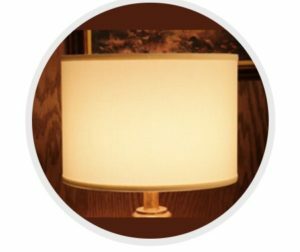 We proudly craft each Custom Lampshade to your Lampshade Manufacturing to your Specifications. For more information, contact: [email protected] or call us at 866-231-JACK(5225).